The Elder Futhark is the oldest form of Runic Alphabet used by Germanic speaking peoples from the 2nd to 8th centuries. 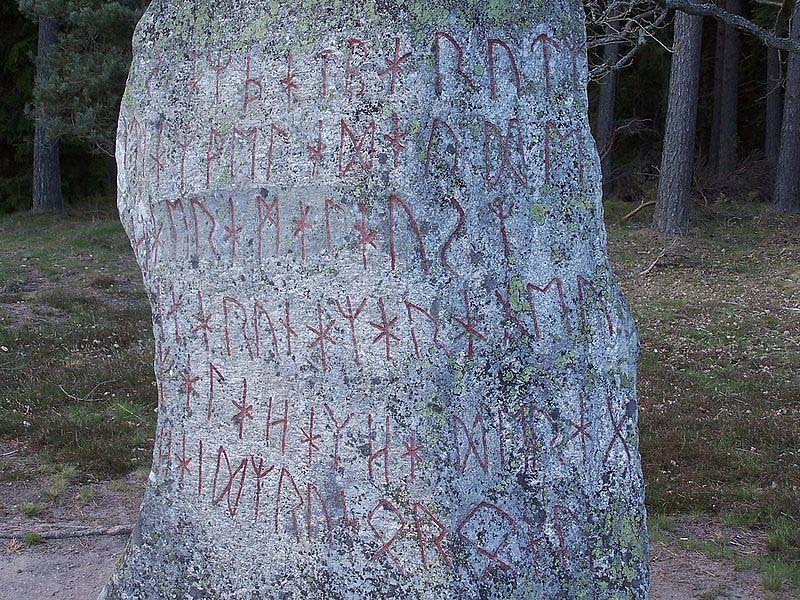 They were used primarily in what now is Northern Germany, Denmark, Norway and Sweden, although many inscriptions have been found all over Europe. Containing 24 letters or 'runes', they were engraved on everything from amulets, jewellery, weapons, tools and runestones. It is believed they were first used in an attempt to imitate the Latin Alphabet. The name ‘Futhark’ comes from the first 6 runes (F, U, TH, A, R and K) and are most often arranged in 3 groups of 8, called aetts. 9th Century runestone with both Younger and Elder Futhark inscriptions. In Scandinavia the Elder Futhark was simplified in the 8th century into the Younger Futhark (16 runes), while in England it was extended into Old English or Futhorc (26-33 runes). Over time the true meaning of the Elder Futhark was lost. It was not until 1865 when Sophus Bugge, a Norwegian scholar, managed to decipher it. Translated, the word ‘rune’ means ‘secret’, or ‘something hidden’. The earliest runic inscriptions found on artefacts are believed to be used as charms or spells. 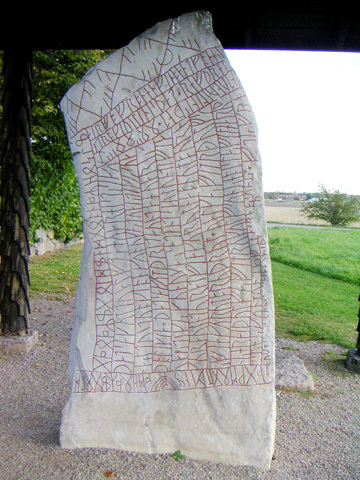 The Bjorketorp Runestone, a very large 6th or 7th century runestone, actually contains a curse. I, master of the runes(?) conceal here runes of power. Incessantly (plagued by) maleficence, (doomed to) insidious death (is) he who breaks this (monument). I prophesy destruction/prophecy of destruction. Each rune is not only a letter in the runic alphabet, but also has a meaning all it’s own. The chart below outlines the name of the rune, pronunciation, corresponding English equivalent, meaning and how the rune is interpreted within rune castings. It should be noted that there are many different ways to read the runes. Many rune casting interpretations, like the one provided below, not only interpret the runes right side up but also merkstaved, inverted or reversed (up-side down). Others go even further and give a different interpretation if the rune is face down. In some respects this is somewhat incorrect. Unlike tarot cards which are intended to have a different meaning when reversed, the creators of the runes had no intention of reading their alphabet up-side down. However, for the propose of divination some liberties can be taken. The best thing is to do what you are most familiar and comfortable with. Doing so will give you peace of mind and in the long run a better and more accurate reading.